This course offers a combination of didactic review of the management of third molar extractions,hands on (pig jaw) and live patients experience.Course participants will acquire extensive knowledge of preoperative assessment of third molars of varying complexity and the surgical techniques required for their removal. The course hopes to instil confidence in dentists in the management of third molar extractions. Day 1: The hands on (Pig Jaw) component will provide participants with an opportunity to practice surgical techniques for the safe and efficient removal of third molars this includes anatomy, flap design , correct instrument handling and extraction mechanics.At the end of day 1 participants will preview OPGs of live patients and conduct a surgical treatment planning session with the course instructor. Day 2 and 3 : Involve participants extracting wisdom teeth on live patients and the close supervision of an experienced oral & maxillo-facial surgeon.This allows participants to practice correct surgical techniques and concept in a clinical environment.The objective of this course is to equip dentists with the skills to perform wisdom teeth extraction of varying complexity. Hence quality time will be allocated to a removal of a select number of cases. The number of extraction cases will be min.4 - max.8 depends on attendees' skills. All courses require full payments of the deposit upon sending this completed application. MegaGen Australia offers the installment plan for your convenient. MegaGen Australia reserves the right to cancel, postpone or modify the announced course content, limit enrollment, or change the location, time, date, or speakers due to unforeseen circumstances. A full refund of course fee rest of the deposit will be issued if MegaGen cancels or postpones of any courses. No refunds will be issued if you cancel the course registration; however, you are welcome to attend the next available course. The payment is not refundable when the due dates pass. 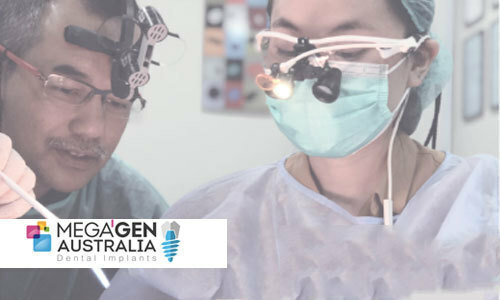 If you are unable to attend after booking your courses MegaGen Australia are happy to work something out that suits you, please email or contact us. Dr. Firdaus Hanapiah graduated from the University of Otago, New Zealand in 1990. Upon graduation, he returned to Malaysia to take up a position as a clinical tutor at the Department of Oral and Maxillofacial Surgery, Faculty of Dentistry, University of Malaya. In 1993, he joined the Eastman Dental Hospital, University College in London where he was a part time honorary Senior House Officer. In 1996 he completed an MSc in Oral Surgery from the Eastman DC and was awarded a Fellowship in Dental Surgery of the Royal College of Surgeons, England. He once again returned to Malaysia to take up a position as a lecturer at the Department of Oral and Maxillofacial Surgery, Faculty of Dentistry, University of Malaya. In that time, he was awarded the Fellowship of the International Congress of Implantologist and became a member of The International Team for Implantology (ITI). He is now in private practice based in the DEMC Specialist Hospital, in Shah Alam, Selangor, Malaysia, acting as a consultant Oral & Maxillofacial Surgeon. He is also Head Clinician for the Firdaus and Sharina Dental Clinics, Bangsar Dental Specialist Centre, Consultant OMFS Surgeon for the Smile Clinic Group and the Glamsmile Dental Specialist Centre in the Klang valley. Additionally, he is a registered Specialist in the National Specialist Register of Malaysia (NSR) and a member of the the Academy of Medicine of Malaysia. He has since placed more than 6000 dental implants and is a pioneer in the field of virtual surgical placement of implants. Dr. Hanapiah is actively engaged in global conferences, and has lectured widely in both Europe and Asia.